After Astons, I was greedy so I asked 14K to go up to Anderson’s. Not as “branded” as other ice cream, I thought it would be cheap. I ordered an Apple Delight ($11.50) that comes with two scoops of ice cream of your choice. 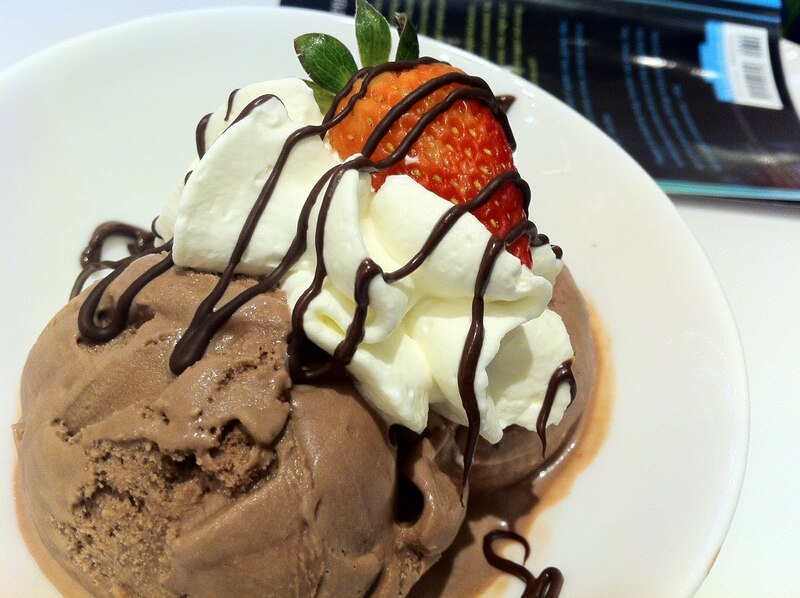 14K had 2 scoops of chocolate ice cream ($8.90). He who dislikes sweet food said he only eats Andersen’s ice cream because the chocolate ice cream is least sweet among the ice cream shops. I was surprised and, honestly, quite delighted that he was eating. Service was courteous and warm, and waitress gave us water immediately as we sat. 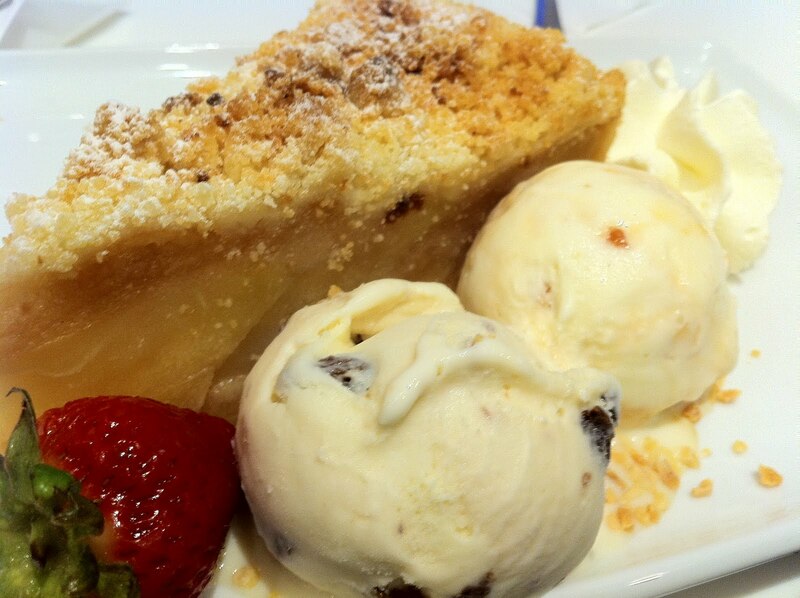 The apple pie and ice cream were normal, nothing too spectacular or dismal. But my heart stopped for a while when i saw the bill. For a kiosk space, $24 is really exorbitant. That is as much as what we spent at Astons for our dinner. And people actually do come to this Andersen to eat such expensive ice cream. Singaporeans are very rich. Heartache. Do you know how many hours I ah Beng hasz to work to make up $24? !